For this project we had to make a timeline on the amour of tweets sent out using #jan25. We did a little background on the arab spring before making our timeline. The math that was incorporated in this was figuring out how much tweets it went up each day to see if they tweeted there way to freedom. In this class I really strengthened my math skills. I learned a ton of graphing and solving inequalities. Coming in halfway through the year I was a bit confused but Lauren help me out a lot. 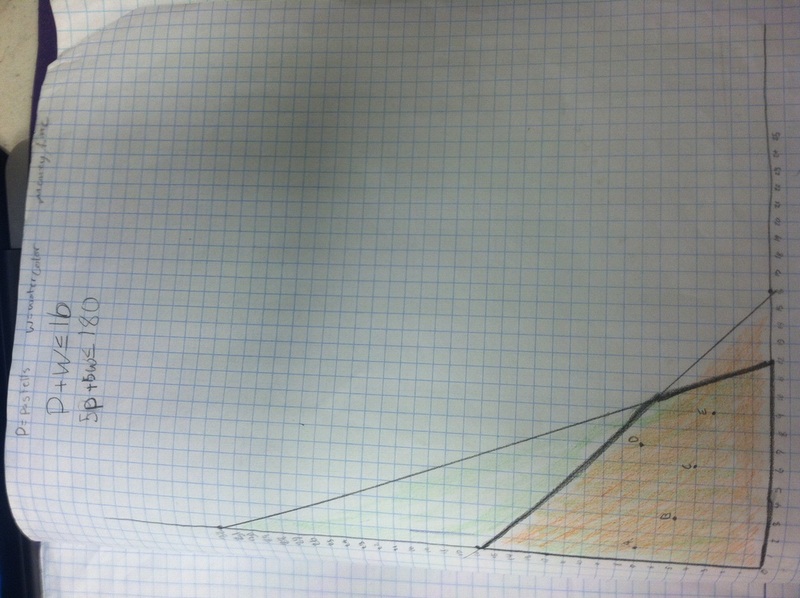 My graphing skills have improved tremendously. Graphing was one of my weak spots in math but now I feel stronger in that area. I am looking forward to next semester because I feel like I will learn a lot when I improve my organization skills and come in for math help more often. Math help has been the most helpful for me because of one on one time with Lauren and no distractions from the class. In the cookies project we had to find maximum profit and the amount of ingredients we had to use. We used graphing and inequalities to solve this. Then we wrote a letter to the owners with our results. I really liked this project and learned a lot.